I am very happy you are here. I hope you have had a chance to check out the http://cinziamazzamakeup.com/?x=viagra-generico-50-mg-pagamento-online-a-Genova Meet Sue page so you have an idea of who I am. You also may want to read some of the go to link Testimonials to see what others are saying about their work with me. With the Angels guidance I blend the healing work of The Bridge energy, Advanced Divine Coding (DC), DC Reiki Master and Angel Therapy Practitioner® training, all together. Each session is right for YOU at the time of your session. Allow Sue to be your Spiritual Guide to assist you on your path. Angel readings can be done via phone, email or Skype. If cards are used, a picture of the cards will lovingly be emailed to you. see url Channel Writings are sent to you via e-mail, so you may refer to them over and over. The readings offer insight and tools to work with and are specific to you at the time of the writing. These are only done via e-mail. 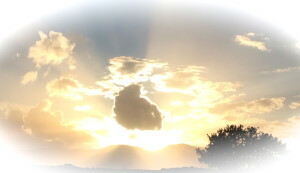 Healing with the Angels sessions can be done in person, phone or as a distance healing session. Energy is energy, so the healing will occur whether in person or through the airwaves. Personalized Meditation is created just for you for whatever your unique situation is or whatever you are needing guidance with. This may be about meeting your Loved One, Angels or Spirit Guides or it may be ‘being with’ a Loved One energetically as they transitioned. It may be working with your gifts and enhancing them. The meditation will be recorded and sent to you in mp3 format so you can download and listen over and over again. Whether you receive a Healing session, Channel Writing, Angel reading or a personalized meditation with Sue, each has the intent you are receiving the information for your highest and best good. Each session is very individual and infused with love & light & Angelic love & healing. Please contact Sue to set up an Angel reading, a Channel reading or a Healing with the Angels Session with Sue. Read what others are saying about working with Sue on the Testimonial page. * If you are purchasing multiples that are not listed above, please email Sue and I will email you an invoice for the total. All Sessions, Readings, Channels or Meditations are to be paid ahead of time through PayPal unless another agreement has been discussed with Sue. If you cancel more than 24 hours prior to a scheduled session, your online payment will be applied to your next purchase. If you cancel less than 24 hours prior to the session or do not show up (whether it’s phone or Skype or in-person), the fee will be retained in full. If Sue needs to cancel, you will have the option to either reschedule or receive a full refund.